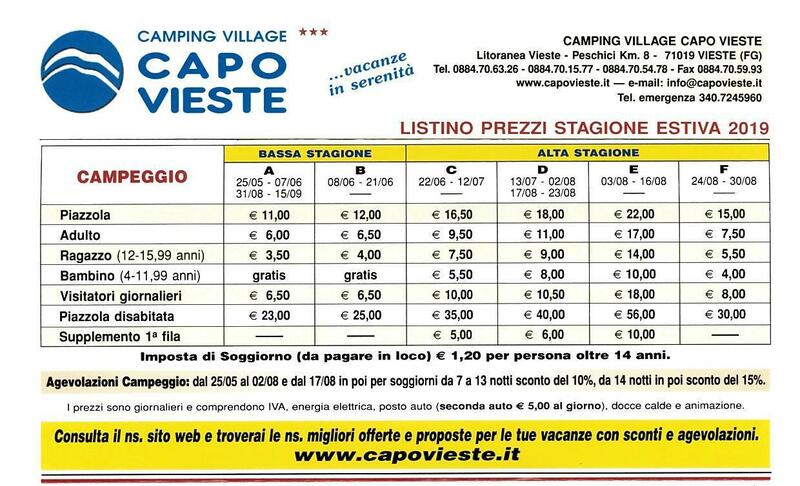 With 350 shaded camping pitches, no architectural barriers and centralised hot water bathroom, your holiday in a tent, caravan or campervan will be a memorable experience in close contact with the nature of the Gargano National Park. Upon arrival, a personal non-transferable pass (card and bracelet) will be issued, which must be brought with you, if it is a card or worn on a bracelet, for the duration of your stay. 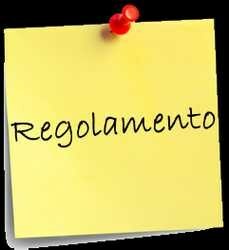 In case of denial you will not be able to access the campsite and formalize the check-in. The card and bracelet must be returned at departure. Guests who find lost items, both on the beach and within the campsite, are kindly requested to deliver them immediately to the Reception. It is advisable to pay attention to personal effects and to take the necessary precautions. Money and valuables should not be left in curtains, roulottes and / or campers. Guests have the option of using the Safe Deposit Box at the Reception. The service is chargeable and subject to availability. The Management assumes no responsibility for any loss or theft of goods not directly handed over to custody. Differentiated Collection: Inside the Cape Vieste Village, ecologic islands have been set up for the collection of paper, glass, plastic and dewatering. Customers are asked to use them correctly. Prices are daily and include VAT, electricity, a car seat (second car € 5,00 per day), hot showers and animation. PAYMENTS: We do not accept bank and postal c / c checks while accepting credit cards (VISA, CARTASI, BANCOMAT, DINERS, AMEX).